Nice to start this series on main banjo players with a living legend. 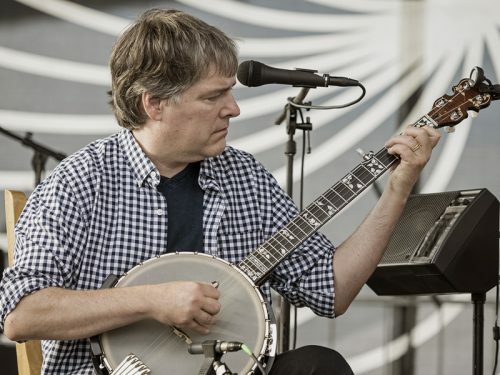 Béla Fleck is considered by many as the world´s premiere banjo player. The banjoist and musician that has reinvented the sound of the banjo exploring into new musical styles with the instrument. Winner of 16 Grammy Awards (this number still increases year after year) and 30 nominations, Fleck is probably the world´s most popular banjo player today. In 1982 he joined the New Grass Revival band where he made a name for himself in the bluegrass world. New Grass Revival took bluegrass music to new heights, exciting audiences and critics alike. Through the course of five albums, they charted new territory with their blend of bluegrass, rock and country music. The relentless national and international touring by NGR exposed Béla’s banjo playing to the bluegrass/acoustic music world. By that time, Fleck also recoded a few solo albums including the ground breaking 1988 album Drive. He also made collaborations with Jerry Douglas, Edgar Meyer and Mark O´Connor. In 1989, he formed the Flecktones with Victor and Roy Wooten and added Howard Levy and then Jeff Coffin when Levy departed on keybords and harmonica. In 1990 they released a self-titled album financed by Béla Fleck himself playing what they called blu-bop, a mix of bluegrass and jazz. The album was critically acclaimed and commercially successful and gained some Grammy nominations for the Flecktones. The Flecktones second album Flight hit number 1 on the Billboard Jazz Chart. Béla Fleck has recorded during his career over 40 albums, most famously with the Flecktones. His first album collaboration with Abigail Washburn (both partners in music and life) was awarded the 2016 Best Folk Album Grammy. Currently, he distributes his time between solo projects, Flecktones albums, tours with Abigail Washburn and some other numerous cooperations and appearances (mainly with Chick Corea and Chris Thyle). Bela´s main banjo is a pre-war Gibson with original tone ring and resonator. Originally a 4 string banjo, he customized with a five string neck and amplified with a Jones pick-up combined with a Shure SM-98. As electric banjo, he carries a Deering Crossfire. 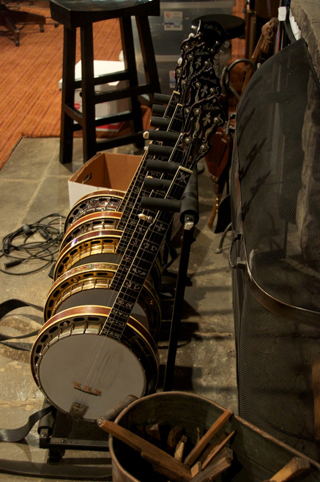 Between his large collection of banjos, he also has his own Gold Tone mode, the MS-1 Missing Link banjo; a baritone banjo made in collaboration with Gold Tone owner Wayne Rogers. This model covers the gap between cello banjos tuned to G (an octave below standard) and the standard models and tunes to C.